First get to Haines in Alaska. Then drive westward on the Haines Highway past the one mile marker, and turn right onto Piedad road, go uphill until it ends. There is parking for a few cars. 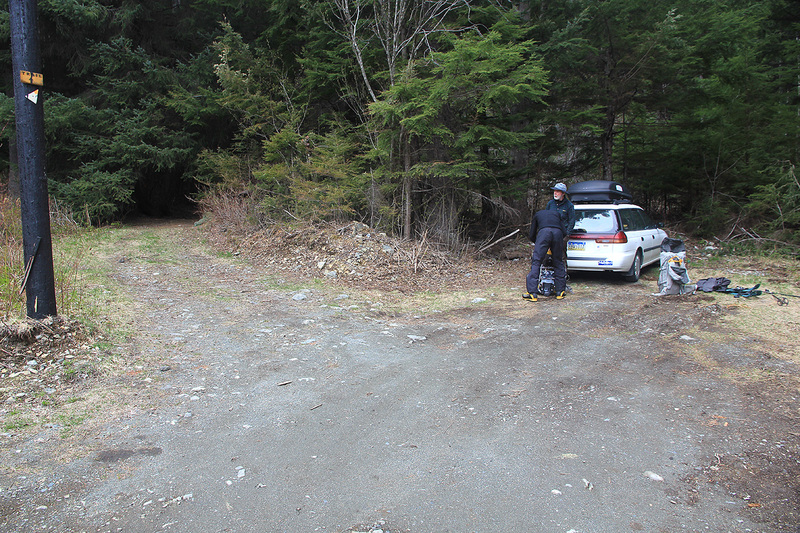 This is the trailhead, location N59:14.697, W135:28.580, elevation about 80 meter. Head uphill along the trail. You may locate a small box on a tree with a map (if you are lucky). 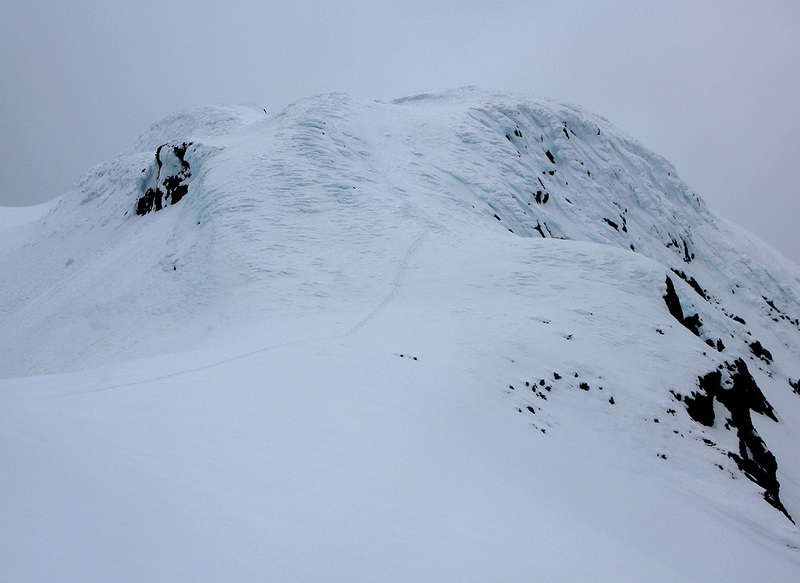 Continue steeply uphill until the crest of the main ridge. 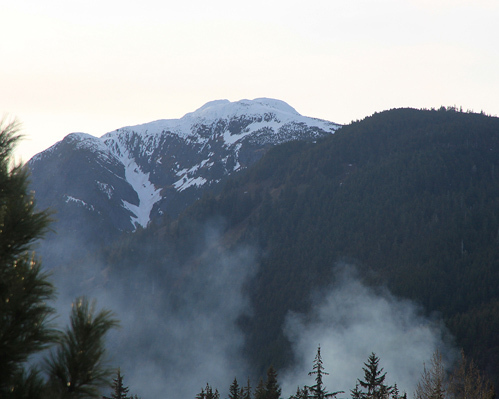 There are signs here telling that you have reached the 2000 feet elevation mark. This is a trailfork, turn left and follow the main ridge upwards. Cross a small knoll, before climbing the steeper part of the ridge. As you gain the more gentle terrain higher up, you will see the south summit slightly left and the north summit straight ahead. 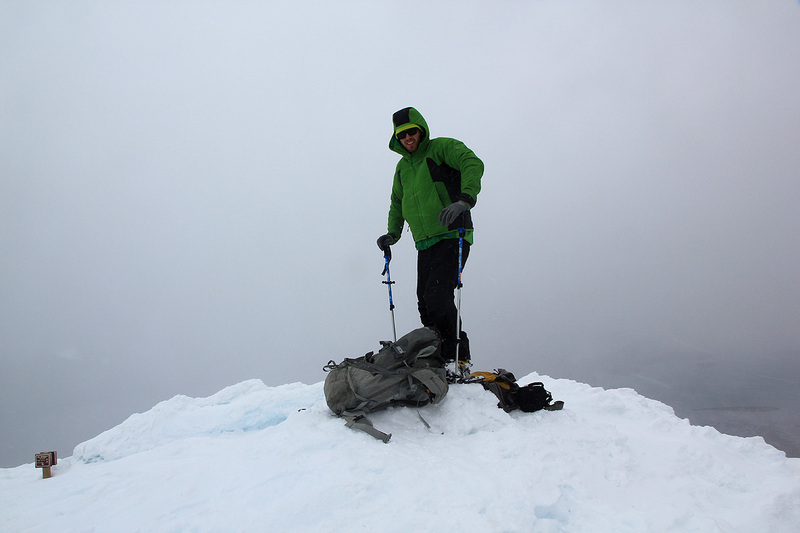 Traverse right of the south summit and climb the north summit which is the highest one. 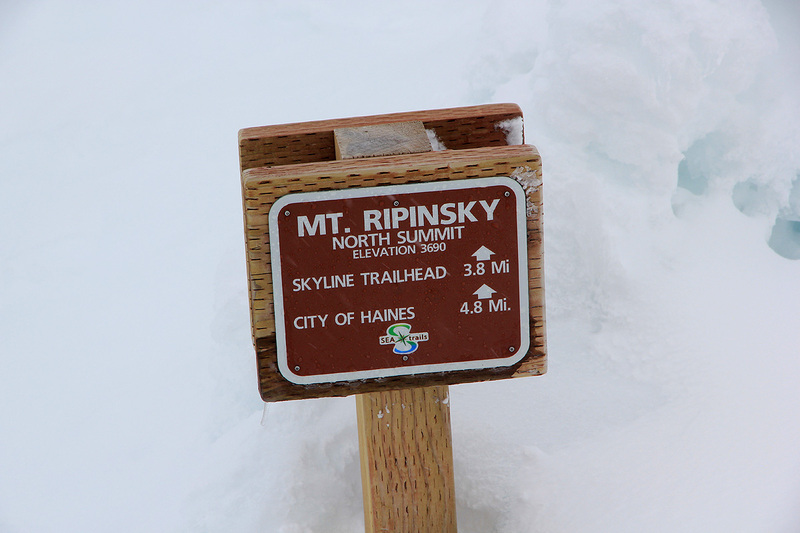 There is a sign near the summit and a summit register (in summer). I did this climb with Bryson Williams, age 20. 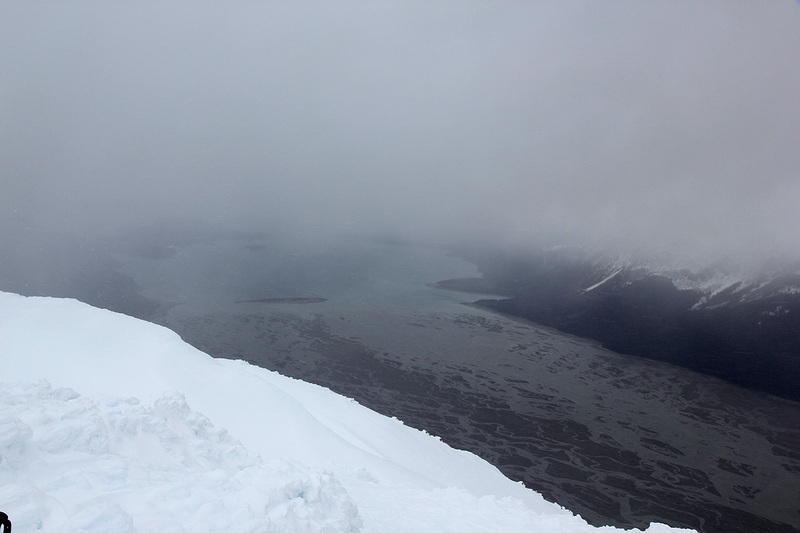 We were stuck in Haines waiting for weather to fly to Mount Fairweather. We started from the trailhead at 1015, made the tarilfork with the 2000 feet sign at 1115. 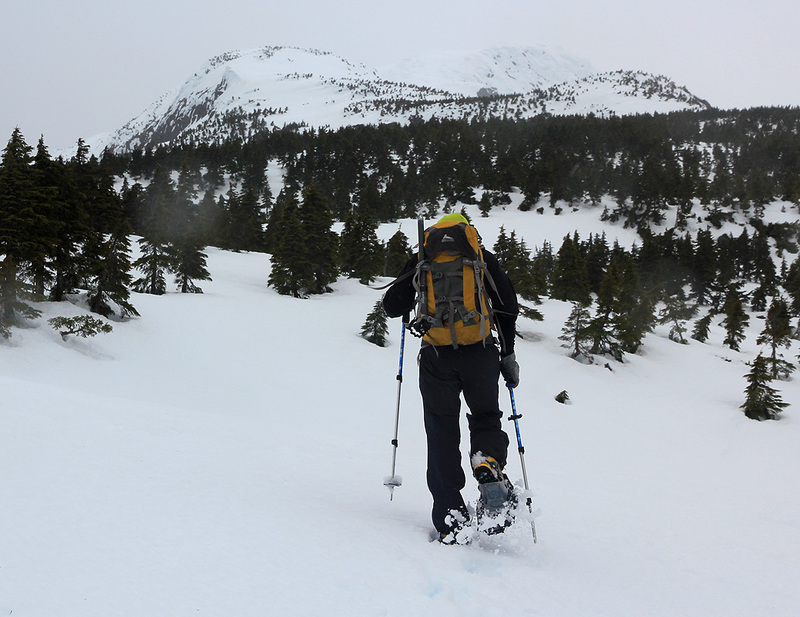 We put on snowshoes and continued to the north summit, arriving at 1250. The weather was a bit foggy, some wind and some pretty horizontal snow. We enjoyed a rest for 15 minutes and started descending at 1305. The descent was smooth and we were back at the trailhead in 1:10, at 1415, thus the roundtrip hike was 4 hours.